Our Child Development class led Veteran's Day-themed activities with the kindergarten class today [9 November 2017], and they will modify their activities to be developmentally appropriate for 2nd-graders tomorrow [10 November 2017]. Tica Penzing and Rebecca Owens taught the class the story of Veteran's Day and a poem about poppies. The classes then colored poppy worksheets. Diana Gonzalez and Lauren Bergner led classes in creating paper American flags with the proper number of stars and stripes. Each kindergartner wrote something they were thankful for on a star before taping it onto the flag. 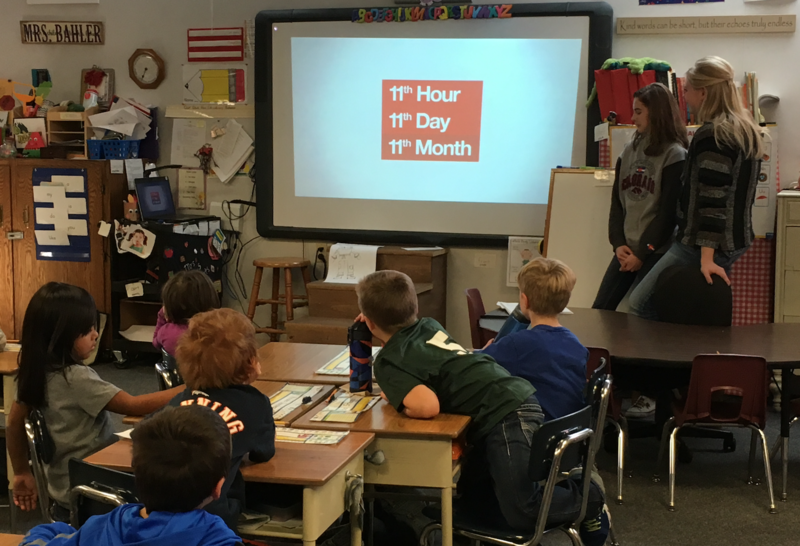 Makenzie Martin and Emily Jelden taught students how soldiers travel all over the world to different countries. 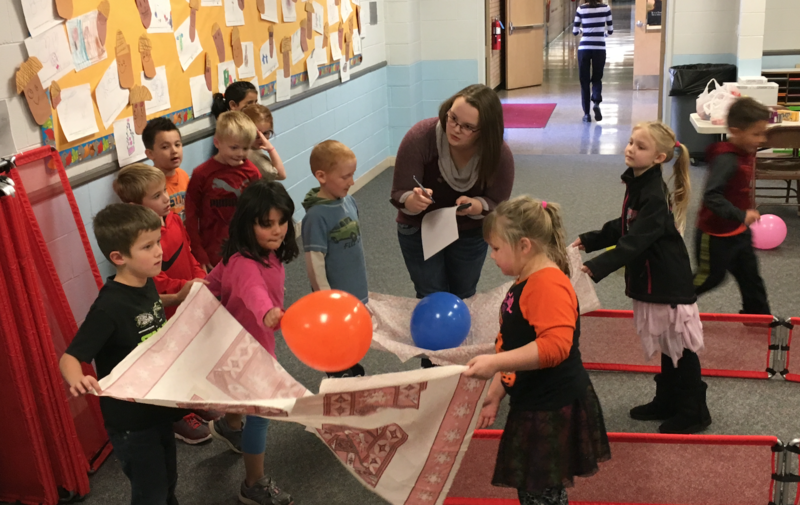 They set up an obstacle course with various countries marked along the way, and kindergartners worked in teams to carry their precious cargo (a balloon) to safety on the other side.